It seems a lot of people are trying to get around the spam protection and use this blog to promote their own advertising sites. If I spot you I will delete you... and if I don't delete you and you're a phony then don't think you've put one over on me, you're just too pathetic for me to bother with. This one is further south. The house is a former stone cottage and barn in the Brenne national park. The roof and external walls have been repaired or renewed. There’s an acre of land with a pond. It’s on top of a hill, and has magnificent views down a wooded valley. 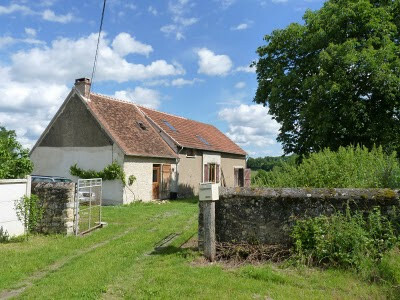 The cottage has been opened out into a 35m2 big farmhouse kitchen, with a big old fireplace. Above the kitchen is a 17.5m2 mezzanine floor. 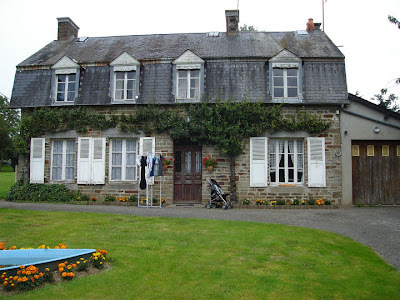 Buying property in France is relatively easy. Fees are paid by the purchaser and the transaction is usually handled by a single Notaire who acts for both parties. If either of these properties interest you and you're seriously considering a purchase then please contact delanghe.steve[replace with at sign]wanadoo.fr who will tell you everything you need to know. I've been having the same problem with spamming for some time. I don't know what the answer is, but it often seems to start with silly but superficial posts; my problem started, if I'm not very much mistaken, with a request to use material off my blog. There is currently a meme doing the rounds of marketing blogs that suggests the way to get more business is to 'make friends' and 'network'. I find this particularly pernicious and unpleasant, undermining everything that until now I've found a benefit in blogging. It will eventually kill the community. I hate it and I hate the people who perpetrate it.